Odin, Norse God. Allfather, Ruler of Asgard. 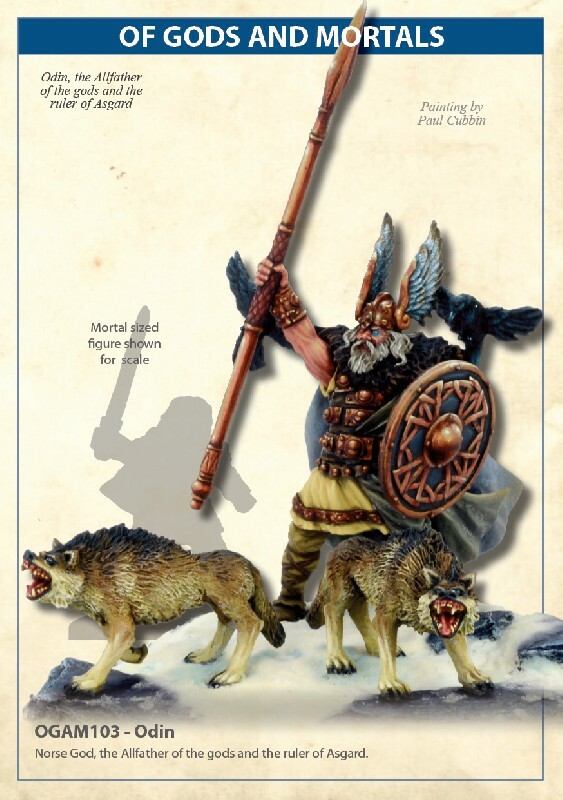 Odin is a tremendous Thirteen piece kit that stands 62mm high to the top of his winged helmet. The kit includes the wolves Geri and Freki, and the Ravens Huginn and Muninn. This model was designed to be a God in the game 'Of Gods and Mortals' and to be used with 28mm high figures. Some modelling experienced is required. Odin is cast in resin. The model in the photograph was painted and modelled onto a scenic base by Paul Cubbin.